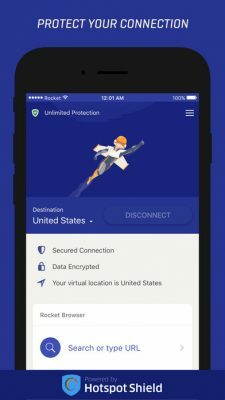 Rocket VPN is, available for iOS and Android, is an important tool for anyone in the internet of today. Internet data is being controlled more and more from different companies. With Rocket VPN, you can securely navigate through your favorite sites without being tracked. Rocket VPN ensures the encryption of the information during your web surfing activity. The real great feature of this app is that this level of security also applies when using other popular apps like WhatsApp or YouTube. Another important feature is the unlocking of sites and apps that have a location restriction. The location is rewritten for each app differently to allow more flexibility and freedom to the user. Rocket VPN also offers free bandwidth every month to be used, starting from 250 Mb. As indicated by its name, Rocket VPN stands exactly for a more free internet. Privacy has become a real concern nowadays with websites continuously asking for cookies support and personal information. The same is true about the different restrictions apps and sites offer to the users, especially location dictated. Rocket VPN serves as a bypass to all these issues. 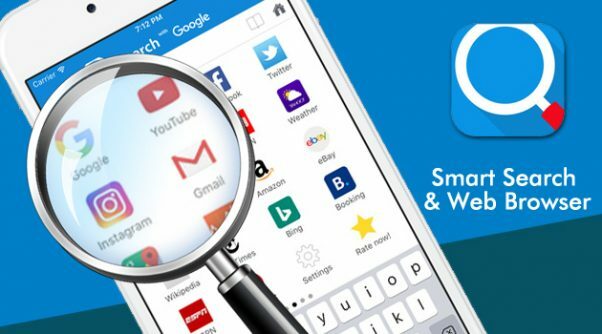 Internet users can finally focus on just visiting their favorite sites and using apps. Rocket VPN will take care of the rest. The app has a simple, professional and to-the-point graphic design. The information of the used bandwidth offered, the location preference to choose, the apps and browsers to be unlocked or the information on your connection are all shown in the first screen after opening the application. This is perfect for a practical app like Rocket VPN. As we mentioned above, all the options are easily accessible in the starting screen of the application. The user can directly get to his objective without a lot of navigation through different tabs. The history, favorites and search feature is especially liked by the users since it allows them to start their session straight from the app, after choosing their location.